Cairo's downtown, with its old European-designed buildings, is wrestling to preserve its cultural heritage as Egypt readies a new capital in the desert. A stroll through the district takes pedestrians past buildings that meld Islamic and European motifs, neo-classical columns and ornate decorations. But its elegance and prestige are fading, as the one-way streets and former palaces fall into ruin and shops selling cheap clothes and odds and ends have moved in. 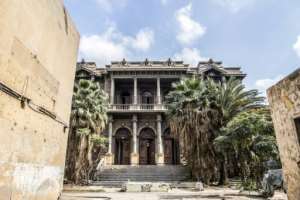 "Some buildings are in a seriously dilapidated state," said Ahmed El Bindari, an architectural historian and volunteer tour guide, in the middle of a group of tourists. He enthusiastically recounts the history of the old buildings, some housing government ministries, and little passageways but complains of a lack of political will in heritage preservation. Bindari and others fear for the future of the district's old vacant buildings and worry that those in urgent need of repair will fall victim to a drive for urban renewal. In the heart of Cairo and bordering Tahrir Square, the district is commonly known as Khedivial Cairo after Khedive Ismail Pasha, an Ottoman ruler who governed Egypt in the mid-19th century. He is credited with transforming Cairo into a modern metropolis with European influences after being inspired on a trip to Paris. Khedive Ismail ordered the building of the first opera house in the Middle East in 1869 to celebrate the inauguration of the strategic Suez Canal. He also commissioned French architects to design geometric, tree-lined streets and downtown became the cultural hub of the city flourishing with cafes, cinemas and shops. With its big avenues, facades and bronze statues recalling the French or Italian capitals, the district has also long hosted a lively literary cafe scene, as well as government ministry buildings. Authorities have traditionally been careful to ensure the buildings retain their style, and many in the city of around 20 million residents are fond of the area. Since the 1950s however, middle-class residents have progressively moved out of the area in favour of quieter, smarter and more modern suburbs. The ministries and public authorities still there are due to move too, once the new administrative capital being built in the desert some 45 kilometres (28 miles) from the city centre is ready. "What will become of the many ministries such as agriculture, education and health housed in historic palaces and buildings?" Bindari asked. 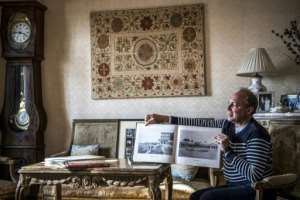 He points to the gentrification of the so-called Maspero Triangle area hugging the banks of the River Nile which the government is redeveloping into a financial centre, with luxurious shopping malls and hotels. It has led to thousands of residents in informal housing being relocated to alternative accommodation. "I'm afraid that under the banner of regeneration, entire urban areas... will be razed to the ground," Bindari added. But Riham Aram, director of the Historic Cairo Restoration Project, is more upbeat. Since 2014, some 350 buildings have already been restored under an initiative for Khedivial Cairo, she said. "We've repainted entire buildings and restored decorations using similar material to what was originally used during construction," she said. "We must maintain this historic district so it doesn't turn into slums in the future," she warned. And she said that ways to reuse 18 government buildings in central Cairo would be examined. The private sector has also become involved in efforts to preserve the downtown area. In 2008, a group of businessmen from local construction firm Ismailia Consortium set up an arm of the company to restore city centre cultural heritage. 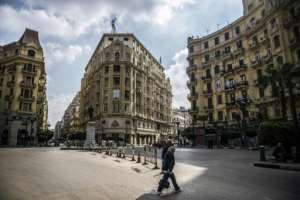 "We found that the best way to conserve downtown Cairo is that there needs to be economic returns," said managing director Karim el-Shafei. "A lot of the apartments are empty. They can be renovated and rented out or sold bringing in profits because they are being used productively," he added. The firm has bought 32 downtown buildings as well as the historic Cinema Radio located on Talaat Harb street. But it faces several bureaucratic hurdles even for routine procedures such as opening a new cafe. Shafei is also keen to draw tourists to the centre and to shop for locally made brands. 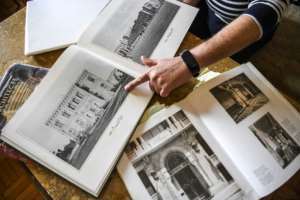 But it is not all about investing just to make money, when it comes to restoring important sites, some experts note. 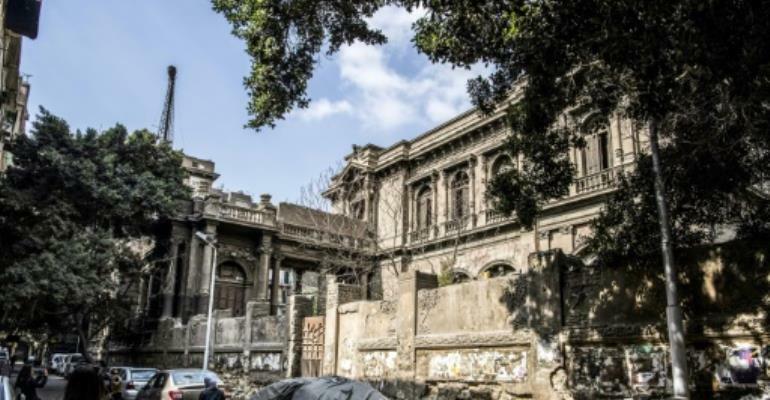 "Along with the focus on the new capital, we hope that interest is not lost in the conservation of Cairo's cultural heritage," said Soheir Hawas, a Cairo University professor, who authored a volume on the area's architecture. Hawas, also a member of the National Urban Harmony Committee, wants to see government buildings turned into museums and cultural centres. "These are important pages in Egypt's long and continuous architectural record and must be preserved," she argued.